By John Resilience, Self-improvement, The No Fear Entrepreneur. 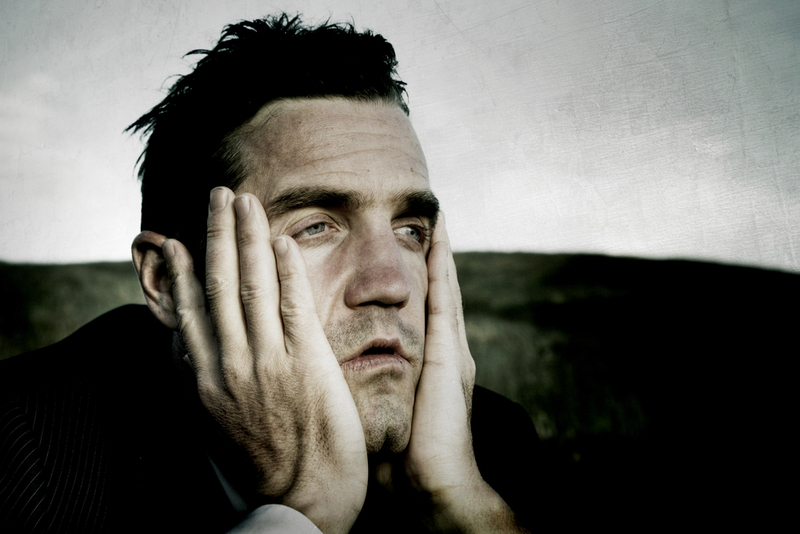 Failure can stir up feelings of disappointment, anger, sadness, regret, frustration, disappointment, and confusion. Underneath this fear is a deeper fear of shame. People who have a fear of failure are motivated to avoid failing, not because they cannot manage the underlying emotions of disappointment, anger, and frustration that accompany such experiences, but because failing makes them feel a profound sense of shame. 1. You worry about your ability to go after your dreams. 2. You worry about what others think of you. 3. You feel if people knew you they would reject you. 4. You consistently live in a world of lowered expectation. 5. Once you have experienced failure at something, you have difficulty imagining what you could have done differently. 6. You often get last minute headaches, stomach aches, or other distressing physical symptoms which keep you from finishing the task at hand. 7. Failure makes you doubt your abilities and how smart or capable you are. So, with all this knowledge, what are practical ways to overcome the fear of failure? I love how the scriptures, though thousands of years old speak truth today. If you struggle with fear of failure take a moment and reflect on one of my favorite verses of sacred text. Stay tuned, in the next three posts I will give you some examples of people you know who overcame the fear of failure, and the third post will show you some tools and tips that I have used to deal with this nagging issue in my own life. Go to my website and sign up for my newletter and receive a free chapter of my #1 Amazon Best Selling Book, The No Fear Entrepreneur. 4 Tactics That Will Kill Fear! Self-observation can be a great use of your time if it leads to positive things and not into self-flagellation. I’ve spent a significant portion of my working life guiding people through self-observation. In that time, I have discovered far too many people on the edge of a breakthrough in their personal life, their relationships, or their business but who squander the opportunity by over-focusing on self-doubt and fear. The thing that surprises me to this day is that many times they are completely unaware of how their self-talk defeats them. Here is how it usually happens. People say they want something very badly, that they want to change, and theoretically, they would do almost anything to make the change and get what they want. But when it comes time to turn the key, to take the step, it is an entirely different story. For many, when it is time to take action, they get cold feet and either pause or back out and fail to do what they need to do to get the results they want. Why? The usual suspect is the inner self-doubting voice that has them questioning every move they make in experiencing the changes they want to engage. 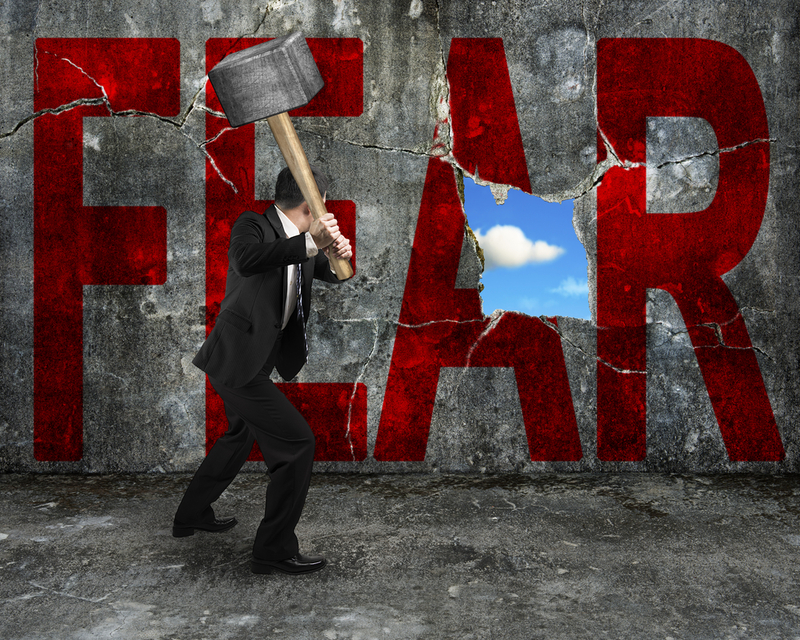 Would you like to learn practical, concrete ways to push back fear? Here are four methods you can implement to press fear back. 1. Feel the fear and do it anyway. My wife Angie is no fan of heights. She would do almost anything legally to avoid heights. However, my wife is a strong woman who does not like to admit defeat. She is involved with an excellent direct service company called Premier Designs Jewelry, and in the year of her sixtieth birthday, she had qualified for a free Caribbean cruise. The day came, and with tons of encouragement, we hopped on the boat and headed out. After watching some other couples take the ride, it was our turn. The air was warm; the breeze was gentle as we slipped into the harness. Within a few seconds, we were gently lifted off the deck, and the winch began to unwind. After a minute or two, we were soaring 400 feet above the water. As we floated, talked, and took it all in, it was inspiring to see the radiance in Angie’s face as we looked down on our cruise ship from our airy, highly-harnessed perch in our parasail. When we landed on the deck of the boat, a couple of our friends gave Angie hugs and high-fives. When all of us returned to the ship that evening, Angie’s accountability partners and friends were overjoyed at what she had done and listened intently to her story. When you feel the fear, call it what it is, and face it, friends will come alongside to pray with you, encourage you, and walk with you. All of us experience fear from time to time. What separates people who discover success in their lives and those who give permission for fear to hold them back is the willingness to act in spite of the fear. 2. Make no apologies—no excuses. As a young cadet at Georgia Military College in the late 60’s, I came under the influence of a seasoned warrior, Command Sergeant Major Scott, one of our military instructors. He was quite a character, soft-spoken but a veteran of WWII, the Korean Conflict, the Dominican Republic Action, and two tours in Viet Nam. When he spoke, everybody listened because of the respect we had for this leader. He was full of pithy quotes, and one I remember to this day is: “Men if you are looking for an excuse, anyone will do. Just remember you are accountable for the decisions you make.” I have to admit, as a young man, it didn’t make much sense at the time, but over the years, I have come to appreciate the wisdom he shared. While some call them “reasons,” people stop themselves all the time using rationalizations and excuses. The top reasons, particularly in the direct sales business, go something like this: “I don’t have time;” I don’t know anybody;” My friends and I are too busy.” This list goes on. People will use excuses like a trap door or an ejection seat—an escape usually based on self-doubt. One of the ways to have more of what you want and what God wants in your life is to push back fear and self-doubt. 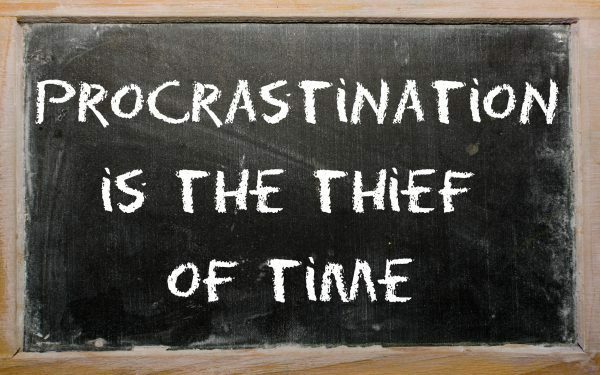 To do this, you will need to hone the skill of developing a “no excuses” approach. So, how bad do you want to change? You can either have “reasons” or life-changing results. The choice is always yours. 3. Be willing to move outside of your comfort zone. I have to admit, I honestly admire the wild success of Taylor Swift, but I would never want to be a former boyfriend. In an interview a couple of years ago she was asked about another famous singer who consistently pushed her comfort zone. Let’s face it, most of us avoid discomfort with a passion. If you want to progress in your personal life, your relationships, and your business, you will have to become more familiar with being out of your comfort zone—for a short time. Will it be scary? Yes, but it will not kill you, and it may even make you a better person. The key question is—are you willing to exchange short-term discomfort for a better life, richer relationships, and a more successful enterprise? If the answer is yes, are you willing to push back the self-doubt and move beyond your comfort zone? Yes? Here is some great news: blessing, joy, and opportunities will increase. So get ready! The biggest difference between daydreaming and having a big dream in action! Wishful thinking will never get you there. You must engage, take a risk, lean into the self-doubt and fear. You have to “rise from the doubts and fears and walk.” This is the place where the phrase “If it is to be, it is up to me,” kicks in. This is the “grown-up” location where you declare to yourself that you are solely responsible for your life, and you accept the fact you cannot blame others for the choices you have made. Time and time again, this is the place where our negative self-talk, which fuels self-doubt and fear, causes us to question everything and keeps us from taking action. I call it decision constipation. This fear and self-doubt are at the bottom of self-sabotage. Getting a higher and wider vantage point around moving forward with your life starts with a decision. Once you have made that decision, it is time to get down to work and make it happen. My pastor, Todd Cook, of Sagebrush Community Church in Albuquerque recently introduced a song by Hillary Scott of Lady Antebellum, in his introduction he shared the following story. Scott recently had to carry a tough burden of her own, having experienced a miscarriage. As a result of working through the pain of the loss, she made peace with it in the months ahead and penned the poignant tune, “Thy Will.” The song appears on a gospel album she recorded with her family called Love Remains, which was released in July 2016. This was not Hillary Scott’s first challenge. Did you know that before she joined Lady Antebellum, she auditioned twice for American Idol but failed to make it to the judges’ round? After those two failed attempts she, along with Charles Kelley and Dave Haywood, founded Lady Antebellum and the rest is chart-making history. Grit, tenacity, resilience, no matter how you label it you can choose to move through fear and become a more intentional, purpose-filled person. The key? Have a Why and a Dream that is more powerful than your fears. Here is a piece of ancient literature that will comfort you. I think this song by Zach Williams says it all. Quit living in denial, acknowledge your fear, and with God’s help move through it. By John Intentional Living, Resilience, Self-improvement, Surviving Hard Times, The No Fear Entrepreneur. “Many of our fears are tissue-paper-thin, and a single courageous step would carry us clear through them,” Brendan Francis. Here are some steps I adapted from The Art of Manliness: 29 Days to a Better Man: Conquer Fear. Fear is only negative if you think it is. Fear is a natural process that if left unchecked will cause us to live timid, restricted lives. Truthfully, in life, there is zero growth without risk. Instead of pushing back fear as an all-consuming, nerve-racking experience, see it as an adventure, a journey that will take you out of your comfort zone and into a whole new life and bring a sense of joy and adventure. If you have ever conquered a fear, you know it can be exhilarating. So why don’t you try and scare yourself just a little today? You might like the outcome. The honest taproot for many of our fears is the fear of trying something and failing. What if I get rejected? What if I fail? Well, you could, but you will never know until you try. If you don’t take the risk, you will never know, and you are guaranteed to fail. This might be uncomfortable for you, but my mission is to challenge you. In making such a decision, you are leaving out the possible long-term risk, a risk that could be far greater than a risk to your ego. The long-term risk is the danger of living an entirely average life. The risk is looking back on your life in 10, 20, or 30 years and feeling your stomach turn with regret and remorse. The primary reason we miss opportunities God sends our way is fear. It is sad to say that when you miss a chance because of your fear, you will never get that moment back again. Maybe it is time for you to update your risk criteria. Think about some of the men and women of the Bible who acted courageously: Ruth, Esther, Mary, the Mother of Jesus, Gideon, David. And how about other historical figures? SFC Leigh Ann Hester, Silver Star, American Hero. After insurgents hit the convoy with a barrage of fire from machine guns, AK-47 assault rifles and rocket-propelled grenades, Hester “maneuvered her team through the kill zone into a flanking position where she assaulted a trench line with grenades and M203 rounds,” according to the Army citation accompanying the Silver Star. “She then cleared two trenches with her squad leader where she engaged and eliminated three AIF [anti-Iraqi forces] with her M4 rifle. Her actions saved the lives of numerous convoy members,” the citation stated. This artist is one of my personal favorites. I enjoy her style, attitude, and lyrics. She is a two-time Grammy winner with over six million albums and 10 million single sales to her credit. Also, she was a two-time loser on [the television show] American Idol. Fear is usually a function of lack of confidence and low self- esteem. Many people are afraid because they think they will fail. But if they do it anyway—if they try to overcome their fear instead of letting their fear limit them—they find they can do it. Fear should not keep us from working. Think on this as we begin the freedom-from-fear journey together. Fear receives way too much airplay. 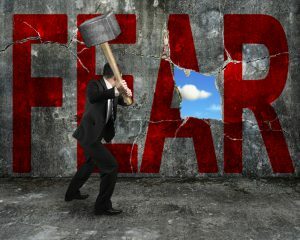 Fear is the big bad boogeyman that grows by negative, contemplative thoughts that are re-runs of painful past events. Fear is primarily mismanagement of our mental capacities. Be sure to check out the final installment of how to overcome fear coming this weekend. By John Resilience, The No Fear Entrepreneur. During his presidency, Abraham Lincoln was greatly respected and greatly reviled. Blamed for plunging this nation into a civil war, he was the president people loved to hate. Those who opposed his views regarding the war and slavery, as well as his efforts to keep them united, were vocal and uninhibited in denouncing him. One day during one of the darkest periods of his presidency, Lincoln was walking down a street near the Capitol in Washington when an acquaintance caught up with him. As they walked, the man brought up the subject of the growing anti-Lincoln sentiment growing in Washington and throughout the country. With brutal honesty, the man related to Lincoln many of the stories outlining attacks on Lincoln and his policies. As the man spoke, Lincoln remained completely silent and absorbed in his own thoughts. Once again Lincoln stopped walking and said, “ There is nothing more to say. 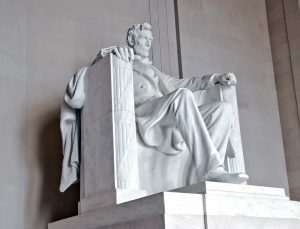 The moon keeps right on shining.”President Lincoln is an excellent role model for managing criticism. Although he was aware of his shortcomings and knew many highly respected and influential people disagreed with him, the president listened to the criticism and followed his own intuitive sense that his policies would eventually win over critics and unify the country. One of life’s challenging realities is that there are always people around who are our fault- finders, people who seldom see the good but are quick to point out the negative. Like Abraham Lincoln, all of us need to find ways of hearing criticism without being detracted or destroyed by it. Latin for, There is more in you than you know. Ever wondered what you could do to increase your odds of winning the race of life, overcoming personal trauma, or pushing through obstacles that could be holding you back? I believe the key is tapping into the strength that lies within you. That key is resilience. One definition of resilience is the ability to withstand, adapt to, or rebound from, extreme challenges or adversity. I have spent a good part of my life working with clients who have had to deal with some of the most horrific traumas one can imagine. Additionally, I have worked as a Crisis Response Specialist, working with school shootings, workplace violence, and natural disasters on an international level. One of the insights that I have learned from all of this work is that most people have an incredible ability to not only bounce back but to move forward. In the counseling world, we talk about post-traumatic growth. Many in the media highlight the issue of PTSD, as well they should, we need more awareness of the invisible wounds of war, school violence, and other traumatic events. In addition, we need more funding, research, as well as programs to help people who are dealing with PTSD. The good news, according to the National Center PTSD, only 7%-13% of those impacted by life-changing traumatic events ever develop full-blown diagnosable PTSD. While it would be easy to do a series of articles on this topic, I want to focus on some of the themes that help people grow through traumatic events. Things that help people prevent PTSD. While no one will experience all of these, here is a list of traits that routinely show up. Resilient people practice optimism – some people are “born optimists,” others are “trained optimists.” The key is to stay positive and hopeful while confronting the reality of a given situation. They do not deny the awfulness of the event, but they learn to look beyond it to a better day. In the most recent case, the students from Marjorie Stoneman Douglas High School, though deeply impacted by the trauma of the shootings are pushing forward. As horrific as this event was, they students are mobilizing to have a kinetic impact on school safety, mental health, and gun control. Optimism does not mean some weird type of Pollyanna, “everything is going to be ok.” Instead, it says that as a result of the trauma, these young people will be highly motivated in their recovery, the recovery of their friends, as well as being highly energized to make changes in our country. The next thing that many people who are developing their resilience muscle do is develop a moral compass and firm beliefs. Faith, in my opinion, is the most important part of this. It means that you are learning to trust that God has a plan for your life and will look after you. You have a growing belief that a power bigger than you will guide you through the storms of life. You are learning to see the Lord as an active participant in your life. Individuals who are developing resilience practice generosity and kindness – and unselfish concern for others, being kind-hearted, philanthropic. Another trait of resilient people is they develop acceptance and cognitive flexibility, meaning the ability to learn and adapt their knowledge and thinking to new situations. They remember the lessons learned. 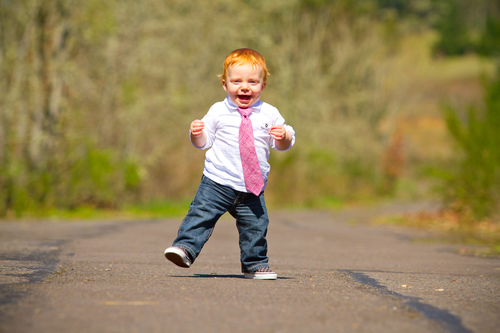 Resilient people are learning to face their fears and learn to control negative emotions. Folks working on resilience are built an ever-expanding tool chest of active coping skills to manage stress. People who are resilient establish and maintain supportive social networks. Resilient people are learning to laugh deep and often. Whether it be some “Old School Comedy” like the Three Stooges or more modern comedians like Steve Harvey or George Lopez, Aziz Ansari, Julia Louis Dreyfus, or Kate McKinnon be sure to find something or someone that can help you keep life on the light side. If you are struggling with Post Traumatic Stress Disorder, please obtain the support and help you need. The Post Traumatic Alliance is a great place to start. If you are wanting to learn more about Post Traumatic Growth check out these resources. What Doesn’t Kill Us: The New Psychology of Post Traumatic Growth by Stephen Joseph. 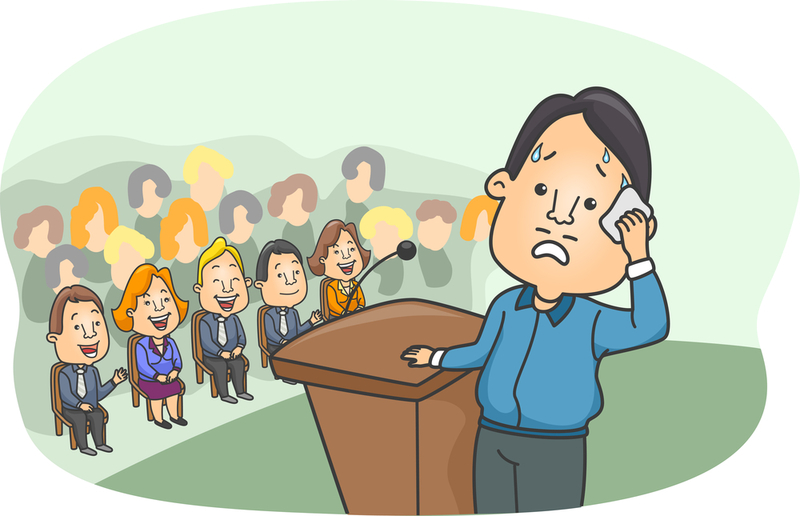 In a recent survey published in my new book, The No Fear Entrepreneur, I found that of those who completed the project, 64.4% stated that fear of public speaking was one of their primary fears. Why on earth would an individual feel such a deep, gut-wrenching, and sometimes almost incomprehensible fear of public speaking? Before we trivialize this fear, that individual who fears public speaking may fear the loss of identity that attaches to performing poorly, and that is very deeply rooted in our core survival needs. In trying to understand the roots to this type of fear as well as some of the irrational spaces that this fear can take us in our heads, I discovered that Gavin De Becker had provided some vital understanding to this common, deep fear. Here is what he said in his book, The Gift of Fear: Survival Signals That Protect Us from Violence. For all social animals, from ants to antelopes, identity is the pass card to inclusion, and inclusion is the key to survival. If a baby loses its identity as the child of his or her parents, a possible outcome is abandonment. For a human infant, that means death. As adults, without our identity as a member of the tribe or village, community or culture, a likely outcome is banishment and death. So the fear of getting up and addressing five hundred people at the annual convention of professionals in your field is not just the fear of embarrassment—it is linked to the fear of being perceived as incompetent, which is connected to the fear of loss of employment, loss of home, loss of family, your ability to contribute to society, your value, in short, your identity and your life. Linking an unwarranted fear to its ultimate terrible destination usually helps alleviate that fear. Though you may find that public speaking can connect to death, you’ll see that it would be a long and unlikely trip.” Gavin De Becker. Doesn’t that rock the way you might be thinking about the fear of public speaking. In my opinion, he captures the essence of how far irrational thinking can take a person if it goes unchecked. De Becker’s insight has cause me to think and at the same time has re-affirmed my understanding that irrational, unfounded fears can stop you dead in your tracks. With that in mind, rather than give you an “Steps to Overcoming the Fear of Public of Public Speaking,” I would like for you to offer some solutions. Here is the question, What are some ways that a person can overcome their fear of public speaking? I am looking forward to your wisdom through your comments. You started off the year with new goals and refreshed dreams somewhere along the way you became distracted, bogged down, and may be disengaged. I have experienced seasons like that in my life. It wasn’t like I intended to get stuck or drift off course, but it happened. Live in denial and pretend like everything is fine. Quit, give up on the goal, the dream, the vision. Re-engage, begin to move forward again. It’s funny how life will send you little reminders if you are paying attention. A few weeks ago I was on the road to a speaking event with the leadership team of the Gila National Forest in Southern New Mexico when some great lyrics caught my attention. It was a song by the group Walk the Moon titled One Foot in Front of the Other. The resonating theme to me in this catchy tune is the theme that one has to keep moving forward, taking one step at a time, one step in front of the other. I believe that this is one of the key components of resilience which is the ability to resist the manifestations of clinical distress, impairment, or dysfunction that are often associated with acute stress, upsetting life events, and personal trauma. So is it time to get unstuck? Is it time to refocus? 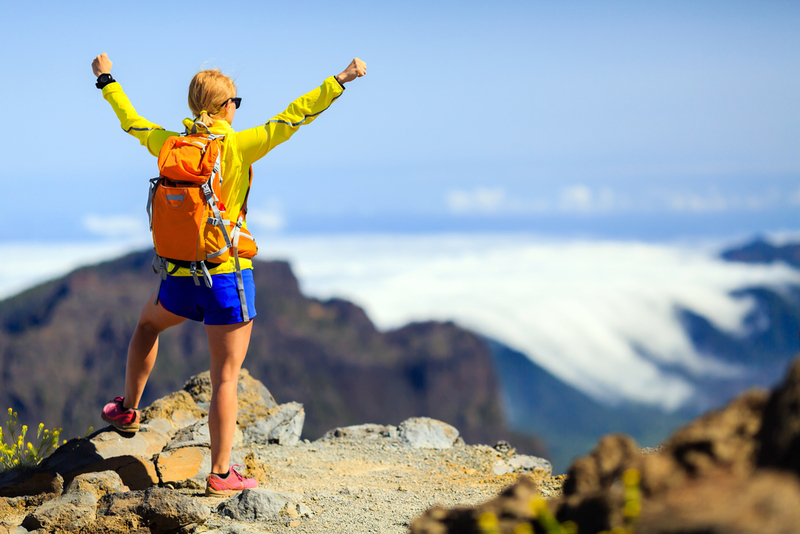 Is it time to use your resilience muscle? If you are sick and tired of being stuck and you don’t want to live in denial or give up, I have some excellent news for you! I have six things that you can begin doing as soon as you finish this article that will give you some energy to start moving forward again. Quit staring in the rearview mirror of your life. Quit focusing on the past, let go of it. If you need help with this, see your spiritual leader or get therapy. Don’t be distracted by the bugs on your windshield, change your perspective. Begin by taking baby steps. Avoid you little inner perfectionist voice and take action. Consider your purpose on this planet. Hint: It’s not your job, it’s that thing that makes you tick, your passion. Believe in yourself. You are a unique person that is fearfully and wonderfully made. You have a unique blend of talents and gifts. Rather than doubting yourself, I want to you make a gratitude list, once you finish this article. In that list, I want to you write down some of this gifts and abilities and be grateful for them. Refuse to sabotage yourself with deep-seated fears and false beliefs. Change your thinking patterns, and you will change your life and outcomes. Incidentally, I have a free twenty-minute online course that you can sign up for today. It will give you the secret to managing your thought life in such a way as to improve your health, relationships, and business outcome. Pick two of these and begin moving forward. If you need to, talk to a professional. It might be your pastor, a therapist, or even me. I do offer Life Management Consultations. Feel free to leave a comment, or sign up for my by clicking the banner at the top. 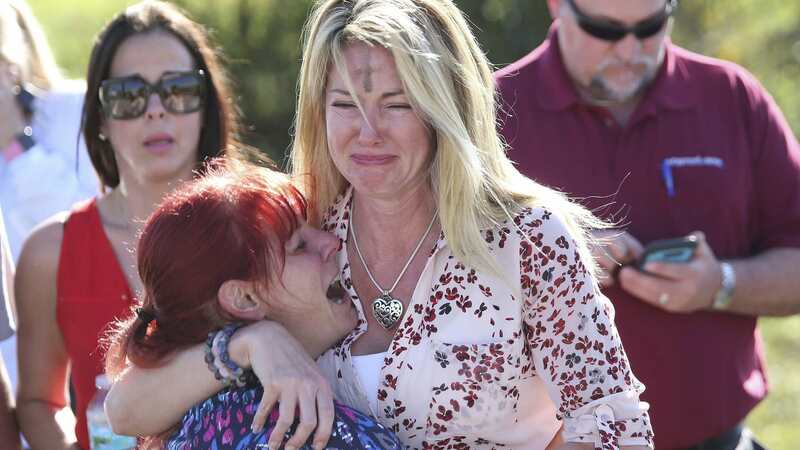 To me, this image is the most powerful photo from the high school shootings in Florida, a mom, most likely a Roman Catholic who received her ashes earlier in the day is shown both terrified and comforting as she and others attempt to grasp what is unfolding. How many of you asked yourself something like, “What would I do in a situation like that?” Here are some tips that I have learned over the years in my work as an International Crisis Response Specialist. Crisis leadership is more about who you are than what you know. I am deeply saddened and angry over the shooting that occurred yesterday in Florida. In my work as a Crisis Response Specialist, I have been involved in helping people directly impacted by school shootings, workplace violence, and natural disasters. Having lived in my adopted home state of New Mexico, I have seen, smelled, and have sat with victims, survivors, and first responders as they have shared their stories with me. In the days and weeks ahead many of my friends and coworkers in this unique line of work will be doing the same with victims, survivors, families, firemen, law enforcement and other individuals impacted by the horrific event. I would ask that you keep them in your thoughts and prayers also. Over the next several days, let’s not get caught up in all of the political frenzies of this shooting, instead, let’s talk and listen to each other. Let’s comfort one another, pray with and for each other, and grieve this loss together. The next portion is part of a training program that I provide business leaders regarding Disruptive Workplace Events. I hope you will take a moment to absorb it, and apply it where you need to. Be is all about who you are. Be calmly assertive – when calmness is not maintained in the fast moving a chaotic of a crisis, a combination of frustration and a need to either dominate or avoid will tend to show up. Know is about the skills and knowledge you have to acquire. You must have a vision and know the values of your organization for crisis resolution. It is essential to understand your vision, values, and guiding principles of your organization who you are making decisions. Do is about the actions you take. With the core vision, values, ethics, and guiding principles of your organization act in a timely and decisive manner. Keep communication channels open. Listen carefully and accurately, communicate, accurately, and in a timely fashion. The well being of people first, with care and compassion. Assume appropriate responsibility for managing the crisis. Make all decisions and actions on honest, ethical and legal guidelines. Be available, timely, in communication with all parties. In a nutshell, an effective crisis leader must act deliberately, quickly, efficiently, and ethically with correct and high moral values. Four Questions you have to ask as an event unfolds. What is the potential for escalation? Protect personnel from further exposure to traumatic sights and experiences. Make contact with victims, witnesses, and others that might be experiencing traumatic stress reactions. Listen to and assist with their concerns. Help meet needs during the event and the early aftermath-from contacting loves ones to finding lost phones. Maintain timely and open communication. Have a buddy system in place for your leadership team. Your Employee Assistance Team in as your Grief Counselors, they have the training and experience. Police will arrive first, make sure you and your team remember that the police will not know who the good guys or the bad guys are. If you have a weapon, put it down, and make sure your hands are visible and your movements are slow. Media will be right behind the police. As a good rule of thumb, in the immediate aftermath of an event, say nothing to the reporters, and encouraged those involved in the incident to do the same. As a leader, what you say to the press and the police could be used as evidence in any future legal proceedings. It is wise to have an attorney present during all questioning, both in there immediate aftermath of the event as well as during any later follow up. Only when such legal advice is present should statements be made. You will be inundated with spectators, media, and family members. Police and first responders, including trained chaplains will be on the scene relatively quickly. Many states and large hospital teams may be available to help with the immediate crisis. There are also some national ministries and agencies that can provide help. Way too many helpers will show up. Some who will be appropriate, some who are well-intentioned, and some with hidden agendas, or for personal gain. I have seen all of these in my deployments as a Professional Crisis Response Specialist. Messages should be timely, factual, strength-based and forward-looking. I have written this post hoping that you will find it helpful and informative, but praying that you will never need to implement any of it. Action Plan: Check out these two articles. Putting on Your Psychological Body Armor. Healing from the Las Vegas Shootings. I would love to hear your thoughts in the comment section. What do Dwayne “The Rock” Johnson, Taylor Swift, Ed Sheeran, Jamie Fox, and Viola Davis have in common? Dwayne “The Rock” Johnson, world-famous wrestler to respected film star. Jamie Foxx started out as a standup comic, turned singer with numerous # 1 Billboard hits and Platinum selling albums not to mention the fact he is an Academy Award winner. Taylor Swift who has made a dynamic and successful shift from being the darling of country music to a dominating pop artist. Viola Davis who was trained at Juilliard in theart of classical theater made a successful transition from stage to television to becoming a two-time Oscar winner. One for her portrayal as a 1960’ housemaid in the comedy-drama The Help and another for her role in Fences. Ed Sheeran who has transitioned from a Gaelic folk singer to a rock vibe, then into a very marketable alternative sound that crosses many genres. Why do you think these individuals needed to reinvent themselves? I believe it was to remain viable in today’s marketplace. The explosion of social media, the Amazon effect, and other massive cultural shifts are changing the way we do everything. 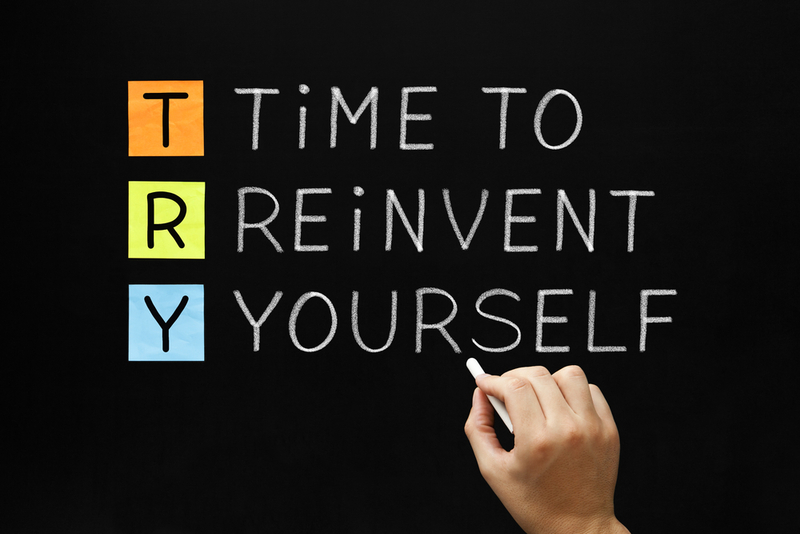 Have you ever considered reinventing yourself? Today, using some of John Manchin’s keen insight on three type of reinvention, I am going to ask you to take a look at where you are. So, when you are looking to reinvent yourself, you need to realize you only have two options, change or die. Maybe not physical death, but the death of a vision, death of hope, end of a dream. I recently read an exceptional article by John Manshi, an attorney, entrepreneur, and actor who I follow on Medium..com His words connected profoundly and profoundly, and mirrored my own experience. In the interest of full disclosure, the balance of this post is an intermingling of his article with my story. Manshi reveals the three types of reinvention people go through in their lives, strategic moves which people can choose to make or not. Is there a distinction between change and reinvention? Yes, all reinvention required change, but not all change is reinvention. This type of reinvention is usually sudden and immediately impactful. Each of these events can lead to a reactive reinvention. Reactive Reinvention comes about when an external event occurs and compels you to make changes. In this type of activity, you must change to advance your life and those things you hold dear. You cannot go back because the activating event that caused this is irreversible. I experienced this twice with my work as a ministry professional. The first being when I moved to New Mexico, the second when the Senior Pastor left the church I was serving in New Mexico. At that point, I had an epiphany. I needed to go back to school, obtain my counseling degree, and become a licensed professional counselor. While the event shook me to the core, it caused me to take an intense and serious looking into my vocational call as a people helper. The lesson gleaned from this experience is you core calling will not change, but the way you live it out may be radically different from what you thought it would be. The beauty of this type of reactive reinventions is even though it can and most likely will be an arduous task to start, the person you become will often be better and stronger than before. I have traveled the world in the past several years, and I can tell you from up close and personal experience, there is no other country in the world today which gives its citizens the freedom to fully pursue your dreams. Proactive Reinvention is when you purposefully and intentionally change to take advantage or a trend or an opportunity that is in front of you. On a personal note, one of my proactive reinventions was to become a Crisis Response Specialist. As an ordained minister, chaplain and mental health professional I have been involved in helping people with events ranging from automobile accidents, natural disasters, acts of terrorism for some years. Also, I have served as a Stress Management Consultant Team for international agencies. Early on I was keenly aware of how people respond to natural disasters; human-made disasters, mass casualty events and other disruptive events. Intrigues by my observations and reading, I began some independent studies in the field of Psychotraumatology, humans resilience, stress reactivity, and post-traumatic growth. This proactive reinvention has opened the doors for me too as a specialist in both Disaster Mental Health and Employee Assistance Consultant who helps companies with Disruptive Workplace Events. The crazy things about proactive reinvention are the power to condense an incredible amount of training into a relatively small, intense amount of time if you desire to transform is strong enough. Reflective Reinvention occurs when you fail at something, but you still have a strong desire to continue on a particular path. You may have failed numerous times. You may feel like a complete loser because of the number of times you have eaten the bitter tastes of failure. Nevertheless, something deep inside you will not go away. The key to reinvention and transformation at this point in the game is to change something about yourself. The only way to change yourself is to reflect on your situation. A simple way to do this without going into a negative spiral is to ask yourself three questions. What am I doing right? What am I doing wrong? What can I do better or differently? After spending some time of honest reflection and counting the cost to make the changes, you will have clarity as you make the necessary adjustment and changes in your life. Manshi proposed a question: Why do I care if there are three varieties on the theme of reinvention? He continues, being able to identify the one you find yourself in is the key to determining the strategies you will need to move forward. First, each style of reinvention calls for distinct, calculated strategies actually to make the necessary changes. Second, when you utilize the correct strategy to the type of reinvention you are going through you immediately accelerate the desired outcome. Third, if you fail to implement the suitable strategy/s, you will, no doubt, waste precious time and might not reach your desired outcome nor reach your full potential. Here are some of very insightful thoughts Manshi shares about reinvention strategies. When you are trying to reinvent yourself reactively, you have an enormous amount of energy and motivation. Not all of this is positive, edifying energy, much of it can become detrimental, life-sucking energy, destructive power. That negative energy comes from self-doubt, self-loathing, anxiety, depression, loss, and possibly physical pain. Learn to manage the energy, both internally and externally. By doing this, you can use the positive, kinetic energy to propel you forward. If you fail to do this, there is a possibility the negatively could consume you. To reinvent, it is imperative you use this burst of energy and transform it into your burning purpose. If you are going to reinvent yourself proactively, you must spend some time reviewing and analyzing trends. You must become opportunistic in the art of seeing what others cannot or will not see. You need preparation, education, and focused learning. You will have to create margin in your life so you will have free, unencumbered time to prepare, learn and move towards the new opportunity to trend. Finding time in the nooks and crannies is the most critical aspect of proactive reinvention. For me, it meant working on my second Master’s degree while working full-time and being deployed for Desert Storm. When you engage in reflective reinvention, you have experienced multiple failures of something. As for myself, I had this crazy idea I should write. I attended some small writer’s conferences and workshops and began to submit to various magazines, online journals, as well as local outlets. I received many more rejections than acceptances, while these dismissals slowed me down, they did reveal I had something to say. If your best effort and knowledge does not result in success, then the problem is easy to diagnose; you need information and input from a source outside of yourself. This might come through a mentor, a friend, a personal business coach or consultant. This step can be a difficult one for many people because it may involve swallowing some pride to realize you are having trouble figuring things out. Being prideful will not allow you to see the back of your head. You need a mirror, a camera or someone else. There is no shortcut. It is the only way to succeed. You need to consider finding a mentor, coach, consultant, or some source to help you with this step. They may be able to provide a missing or overlooked piece of the puzzle that you are trying to solve. In my own, small but growing journey as a writer I have been so workshops, seminars, writer’s groups, mastermind groups, as well as critique groups. I have submitted proposals, received multiple rejections, while at the same time, having some things published. I have had friends make helpful suggestions have helped me improve in this area of my life. I am lowering some of the gates of my self-pride and am allowing others to speak to me. I am growing an accountability group to help increase my effectiveness as a person, spouse, and people helper. What about you? Are you either entering into one of these reinvention phases, in the middle of it or coming out of it. I would love to hear about your journey in the comments. Recalibrate or Stagnate: The Choice is Yours! How are those New Year’s resolutions going? In the interest of full disclosure, I am at about 60%, which, at least for me is not too bad. The New Year is a time when so many of us consider making some changes in our lives; some people are looking to make some small changes others are looking to recalibrate, to reinvent themselves. On the downside 80% of us will abandon most of those resolutions by mid-February, but what about the 20% that do keep them. So what are some ways to maintain those decisions, to recalibrate? Resolution makers who have a measure of success move from thinking about making some changes to doing what it takes to make them hold. They intentionally move from a contemplative stage to an action stage. Most of us have excellent ideas, ideas that will work. It might be to write a book, start a business, make some personal changes, or to suggest some changes in the workplace. The issue is that most of used a pretty lousy job of doing what it takes to execute those ideas. I know in my life, this has been an area of struggle. I recently read an excellent article on medium.com by John Manshi titled, Only Three Ways to Reinvent Yourself. Manshi discusses three types of reinvention, recalibration and they are the reactive reinvention, the proactive reinvention, and the reflective reinvention. In my personal and professional life, I have experienced all three of these. Some of these recalibration phases were very difficult resulting in job loss, a dynamic loss of income and some short-term personal challenges. Other recalibration phases have led to positive, kinetic changes in my life, business, and marriage. I hope that some of my life experience, as well as my years of working as a professional counselor, will give you some insight and tools to help you make the changes, rekindled the dreams and move forward. In this series, I am going to show you how each of the recalibration strategies work and how you can take this information and continue to make the positive changes in your life, your business and your relationship. So, what will you choose to do? Will you choose to stagnate or recalibrate? Let me give you a personal invitation to join my email list to follow me in this series.